Beautiful arranged with fresh vegetables seafood. 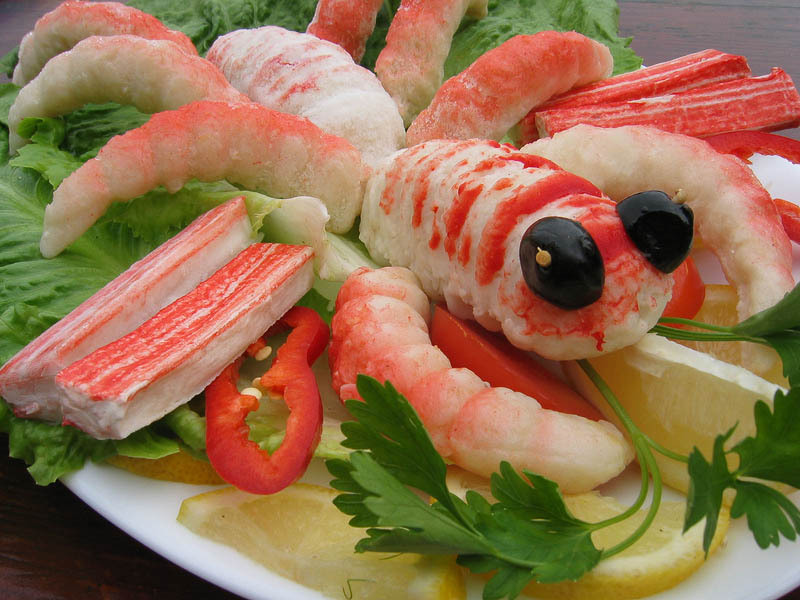 Crab arranged from seafood. Meat of shrimps, crabs, crawfish and lobster with fresh vegetables in dish. Seafood ready for serve.